A Certain Magical Index Season 2 contains episodes 1-24. When science and sorcery clash, the result is explosive in this sequel to A Certain Magical Index from the studio that brought you Shakugan no Shana! The Book of the Law - an encoded grimoire containing catastrophic magic - has been stolen, so naturally Kamijo, Index, and a few familiar faces join in the crusade to protect the one nun who can decipher the powerful text. But as the group battles church sects and holy assassins, they realize that discovering who their true enemy is may be more difficult than saving the sister. Meanwhile, an organization known as the Science Society resurrects an esper-producing program, a school festival brings out the competition - and drama - in the student population, and a mysterious figure negotiates the purchase of a sacred relic that could threaten the future of Academy City. My first and only review-so far. Great series. As I expected. No surprises unless you have not seen the first season. Fantastic to have season 2 in one compact package. season 2 was one of my favorite seasons because they got right into the craziness and their were way more plot twists like when touma thought the people he was helping were the good guys only to find out they were the bad guy, and the the bad guys were actually the good guys and then fights them again later. He also fights these other crazy people from the magic community. It’s one crazy season. I’d recommend it to any one who is a fan of the series. Great show, also lots of humor too. Since this is the sequel season to A Certain Magical Index I'm going to assume you've watched at least some of the first season and are now wondering if the 2nd season is worth the buy. To that question, I say YES. 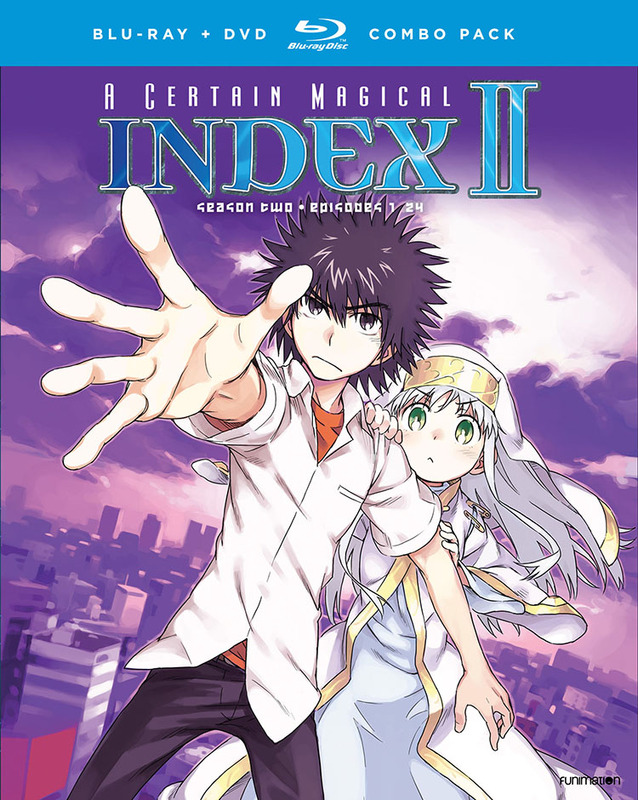 Season 2 of A Certain Magical Index builds on the 1st season and, for those of you who may read the novels this is based off of, covers light novel volumes 7-13. Compared to season 1, this season's pace is just a tad bit faster, but in the right ways. You get more Mikoto Misaka and Accelerator scenes respectively (no spoilers!). The world Index takes place in really comes together in this season, showing what's brewing behind our main characters. The only drawback to Season 2, in my opinion, is that the last story arc(s) that wrap this season up do leave you on an open-ended cliff-hanger, BUT rest assured that if you are looking to watch/purchase this show now that Season 3 of Index is already being put out so what ever is unanswered in this season will be in the next.